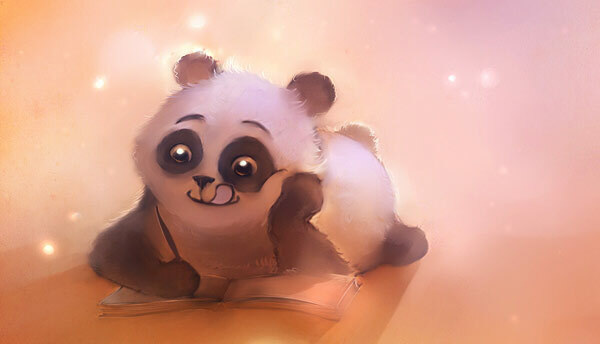 It has been almost a year since Google launched its initial Google Panda update and some important SEO lessons have emerged. While Google Panda Update wreaked havoc on several top websites, its primary aim was to provide better search results. The goal was to shut out content farms, devalue sites with shallow or thin content, and prevent people from gaming the system through shadowy practices. Since the basic principles behind good SEO remain the same, theoretically, bouncing back from any perceived “Panda penalty” should be relatively easy for reputable SEO professionals and novices alike. That is not always the case, however, because even those who are consistently providing excellent content can become lax in certain areas. Anyone who has ever ignored a small home improvement issue only to see it snowball into a much larger project knows that reversing the effects of neglect can take a considerable amount of time and patience. Rather than panic about the fallout of Facts about the Panda or any other upcoming search engine algorithm change, however, we should shake off any remnants of complacency and devote some energy to site improvement. The following three things will not only minimize any negative impact from Panda, but also lead to better sites with more successful optimization. Duplicate content has always done more harm than good, but the Google Panda update was particularly zealous about penalizing it. For those who are not sure, duplicate content is exactly what it sounds like–two or more pages with identical content cluttering up your website and the internet. What trips some of us up, however, is that a page is simply anything with a unique URL. As web crawlers index sites through internal and external links, they can stumble across two or more URLs that land on the same content. Duplicate content can be completely identical or nearly identical with a minor amount of variation. It is not always confined to the same domain, and cross-domain duplicates that appear on two or more domains are just as harmful. Rooting out redundant content can take a considerable amount of time, especially since a significant chunk of it is unintentional, but it is worth it in the long run. Whether you decide to remove, redirect, or rewrite your duplicate content is up to you, but ignoring it is not an option. Another important indicator of your site’s relevancy is “user engagement,” and Google Panda Update is thought to value user engagement more than it ever did before. Broadly speaking, user engagement refers to the amount and quality of your site’s traffic, but it encompasses an array of factors that can be divided into quantitative and qualitative. The quantitative side includes how many people visit your site, how much time they spend there, and how often they return. The qualitative side involves social sharing, bookmarking, and interactive discussions primarily through comments. It is easy enough to deduce that the more people visit your site, the more time they spend there, and the more frequently they return to it are all considered good things that will help boost your page rank. Similarly, it makes sense that your rank will benefit if your pages are regularly bookmarked, host a lot of comments, and are “liked” on Facebook a lot. While I separated these into two distinct categories, the truth is they overlap significantly and have a symbiotic relationship. By investing time into making your site more interactive, you will increase the amount and quality of your traffic. Visitors will linger longer and are more likely to return either to check on an ongoing conversation or to see what is new. Encourage these behaviors by monitoring and responding to comments, installing those ubiquitous social share buttons, and folding invitations to interact into your content. For example, asking for advice or suggestions is a way to initiate a conversation and foster a sense of community among your readers. Enhancing user engagement is not a quick fix and requires vigilance on your part. It is, however, incredibly rewarding and not just in terms of page rank. Meaningful interaction on your site will lead to learning new things, new relationships, and new opportunities. 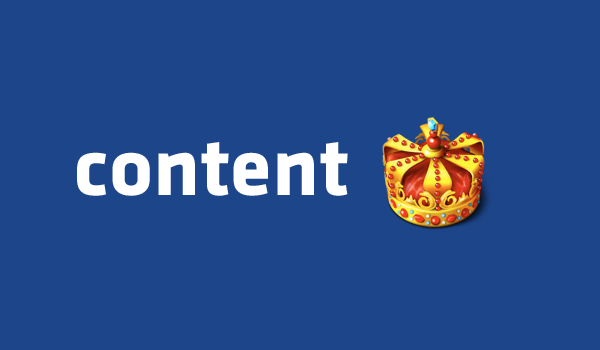 We constantly parrot that “content is king,” but a lot of us do not really know how to assess or improve our content. You can find plenty of lists of questions you can ask yourself, and they may genuinely help, but they also hinge on your ability to be brutally honest with yourself. Furthermore, depending on the extent of your site, evaluating all of its contents can seem like an overwhelming task that is as appealing to most folks as going to the gym. So, how do you avoid giving yourself an easy out? What you need is a concrete plan. Since visiting every single page of your website could take months, commit to examining at least one page a day until you have reviewed them all. One page is a reasonable goal, and if you decide to check out more on any given day, you can give yourself an extra pat on the back, but do not skip the next day. There will be times when skipping a day is unavoidable due to illness, vacations, or life happenings, so any extra headway you might make will be swallowed up eventually. If you exhaust that banked time, do not skip more than two days without doubling up the amount of pages you will visit. That means on Day 3, you begin examining two pages a day until you are back on schedule. Once you have designated time to spend on each page, you must genuinely scrutinize your content, but when something is so personal, evaluating its worth can be challenging. It is much easier to admit, however, that everything has strengths and weaknesses. On each page, identify three things that work, three things that don’t, and provide an explanation as to why for each of them. This forces you not only to find things to fix, but also acknowledge elements that work exceptionally well. In the beginning, what you discover may be more glaring and could actually be global to your site. For example, a flaw in your site’s design or a missing component. Some days, you may really need to nit pick, but typographical errors are just as important as broken links or flimsy content. Regardless, you will continuously find ways to improve your site and, consequently, your page rank no matter which search engine algorithm is being applied. In addition to self-assessment, you should also solicit the opinions of others with this model. Start with a small group of people. Send them the same five links and ask them to identify three things that work, three thing that don’t, and why. It is not only validating to see what resonates with others, but the feedback may also highlight things you have missed. As long as you have willing volunteers, repeat this experiment as needed and before long you will have elevated your content. While the Google Panda update has been frustrating to many, it is best to treat it as an inducement to better our sites. After all, what Panda seems to penalize most heavily are neglecting elements that have always been essential to SEO. By fixing what is broken and enhancing what works, we will build a better internet, one website page at a time. Next: Top 5 Android Apps that Bring Out the WOWs!